Dear reader we have discussed about pozzolanic reaction in the last post. Now we know that pozzolanas are siliceous or siliceous materials with aluminous content having some values to alter concrete properties. Here we will discuss about a siliceous material that is usually ignored in concrete production. Dear reader we all know that rice husk is a waste product. 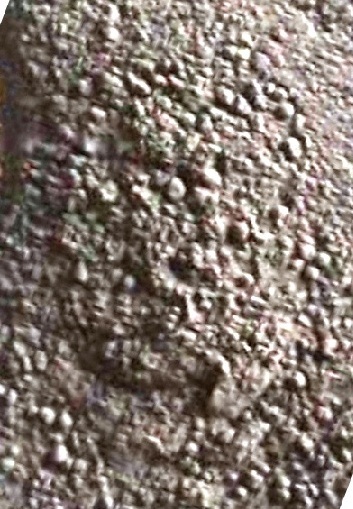 This waste product is enriched with silica in very high percentage which can be used in concrete with some limitations. We will learn about properties and limitations in the next paragraph. The rice husk is fired slowly and reached to (500-700)0C to produce an amorphous form of it which have porous structure. This ash derived from rice husk has very complex shape like origin of the plant. The specific surface of this ash is very high which can be reached even 50000 m2/kg; but has large particle size of between 10µm and 75µm. These properties discussed above seek a greater water requirement when used in concrete. To have necessary workability and high strength, superplasticizers are used. But application of superplasticizers, reduce economy derived from using rice husk where processed rice husk is not easily available in any territory. This ash is found effective in producing concrete strength at only (1-3) days. But there use in concrete may lead to increment in shrinkage. Dear reader we are finishing this topic here, in the next post we will discuss about another amorphous natural materials having pozzolanic values, can be used in concrete advantageously. can we use rice husk ash direct from the source in precast and prestressed members?